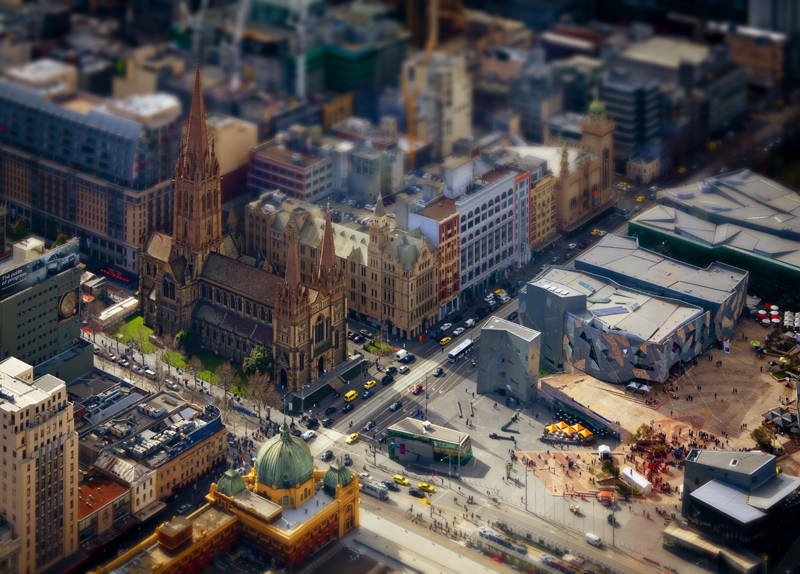 This shows Flinders Street Station, St Pauls Cathedral and Federation Square in central Melbourne. This shot was taken from the Eureka Skydeck which is Australia‘s tallest building. I used tilt shift to create the miniature effect. We are leaving Melbourne in one week and heading towards Sydney where we are looking forward to meeting up with some friends and family.